If one wishes to study the Scriptures, one of the most important things that he must do is to acquire a good translation of the text, unless he just happens to know Biblical Hebrew, and Koine Greek. Especially nowadays, when it seems there is a new translation or study Bible that is published each year, it is not a simple choice to make. 1) How accurate is the translation? 2) What text is the translation based upon? 3) What is the theological perspective that underlies the translation? 4) How well done and how liturgically useful is the translation? 5) More recently, you must also add to the above considerations, how politically correct is the translation? On the opposite extreme, you have paraphrases, such as the Living Bible which has readings such as “"God even protects him from accidents,” rather than the more familiar (and more accurate) "He keepeth all His bones: not one of them is broken" (34:20 KJV). Another popular translation that is more of a paraphrase (though not as bad as the Living Bible) is the Good News Translation. Another example is the way the NIV translates the Greek word sarx as “sinful nature” sometimes, and simply as “body” other times. The problem is that the word means “flesh” and it only implies a sinful nature at times, but the problem is that it is not always clear whether or not this is in fact implied, but if you are reading the NIV, you wouldn’t know that there was any ambiguity, because the translators have misled you into thinking that text clearly says things that are not so clear. Other examples of “Dynamic Equivalence” translations are the New American Bible (NAB), the New Jerusalem Bible (NJB), Today’s NIV (TNIV), the New English Bible (NEB), and the Revised English Bible (REB). 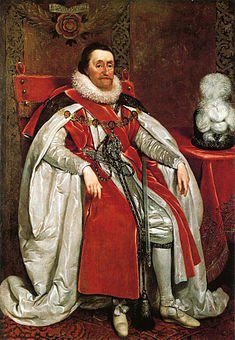 James I of England, who commissioned the Bible named after him. The most accurate translations available in English are the King James (or Authorized) Version (KJV or AV), the New King James Version (NKJV), and The English Standard Version (ESV), and to a lesser extent the Revised Standard Version (RSV), and the New Revised Standard Version (NRSV)—though all but the first two have problems that will be discussed under the other factors that we must consider. The King James is in fact generally so accurate that one could reconstruct the original text with a high degree of accuracy by translating the text back into Hebrew and Greek, though unlike many translations that are so woodenly literal they actually distort the meaning of the text, it is also a beautiful translation. I will address the question of the original text of the Greek New Testament in more detail in a subsequent article, but will touch upon the subject here briefly, as well as the question of the original text of the Old Testament. In short, there are the two versions of the Old Testament text that the Orthodox Church considers authoritative, and one of the New Testament. For the Old Testament, the two textual traditions that the Church has preserved are that of the Greek Septuagint and the Syriac Peshitta. The Latin Vulgate played an important role in the pre-schism western Church, and so it too is a translation worthy of consultation. 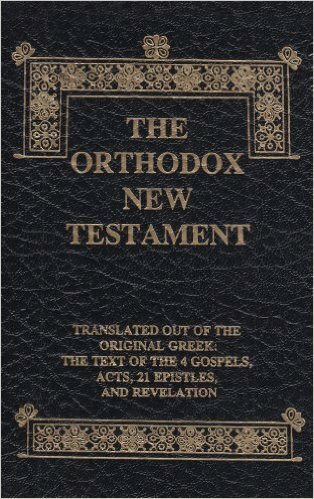 The Orthodox Church is of course well aware of the fact that most of the Old Testament books were written in Hebrew and Aramaic (the Deuterocanonical books having mostly been written in Greek), however, the Hebrew text that we have today is not the same text that existed during the Old Testament period or at the time of Christ. This is seen in the Dead Sea Scrolls, as well as in the Septuagint, Peshitta, and Latin Vulgate which were all translated from the Hebrew, and yet reflect a Hebrew original that often differs from that which we have today. 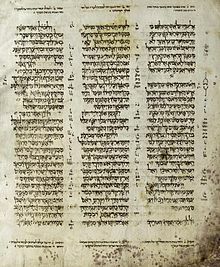 The Hebrew Text that has served as the basis for most translations of the Old Testament into English is based almost entirely on the Leningrad Codex, which dates from 1008 A.D. In comparison to the textual evidence that we have for the New Testament Greek text, this is a very late manuscript. It is an example of the Masoretic recension which is usually dated to have been shaped between the 6th and 10th centuries A.D. This is well after the Septuagint was translated (3rd century before Christ), the Peshitta (1st and 2nd Centuries A.D.), or the Vulgate (4th Century A.D.). According to Christian tradition, the non-Christian Jews began making changes in the Old Testament text to undercut the Christian use of Old Testament prophecies concerning the coming of Christ. In any case, the Hebrew Text that we now have was preserved outside the Church. The Septuagint and Peshitta texts were preserved within the Church, and so the Church believes that the text of the Old Testament was been authoritatively preserved in these textual traditions. Yea, ye took up the tabernacle of Moloch, and the star of your god Remphan, figures which ye made to worship them (KJV). You also carried Sikkuth your king and Chiun, your idols, the star of your gods, which you made for yourselves. (NKJV). Also, there are several sections of the Hebrew text that are simply unreadable without keeping one eye on the Hebrew text and one eye on the Septuagint. For example, if you look at the footnotes for the book of Habakkuk in the NRSV there are 5 places in which it states that the Hebrew text is uncertain, and 3 times in which they state that they are simply translating from the Septuagint, Peshitta, and/or the Vulgate because the Hebrew text is so unclear. Therefore Saul said unto the LORD God of Israel, "Give Thummim." And Saul and Jonathan were taken: but the people escaped. It should be pointed out that the Hebrew text should not be ignored entirely. Particularly when the Septuagint and the Hebrew text are in agreement, we will better understand the Septuagint as a translation if we compare it with the Hebrew text that it is clearly a translation of. It is extremely helpful to understand the range of meaning of the original Hebrew text (when we clearly have it). For example, it is helpful to know that Hebrew does not have a past or future tense, but only a perfect and imperfect tense … and so just because an English translation is clearly in either the past, present, or future tense, it does not necessarily mean that this is what is implied by the Hebrew original. One often encounters the use of the “prophetic perfect,” where a prophecy of something that has not yet come to pass is in the perfect tense, and so is often translated with the English past tense, e.g. … with His stripes, we were healed (Isaiah 53:5), when from the perspective of the prophet, he was speaking of something in the future. There are at present only limited options available in terms of English translations of the Septuagint. There is the translation of Sir Lancelot Brenton, which is often awkward and wooden. There is also a very well done revision of the KJV by Michael Asser, which corrected the KJV based on the Septuagint, but while the complete text is available online, only the Psalter is actually in print. For the Psalms there is the Psalter According to the Seventy, published by Holy Transfiguration Monastery; A Psalter For Prayer, published by Holy Trinity Monastery; and the Psalter of the Prophet and King David, published by the Center for Traditionalists Orthodox Studies—this text is based on the edition by Michael Asser, but it differs in some respects. There are also various editions of the Old Testament readings that are used liturgically. The New English Translation of the Septuagint is a “scholarly” translation that I think is worth having on hand for reference, but the translation is seriously flawed—both in terms of style and substance. Stylistically, the use of mostly unfamiliar transliterations for the names of people and places from the Greek make this text very awkward and practically unusable by the average layman. For example, you will search in vain in a Bible dictionary for Heua, Kain, Habel, Saoul, Dauid, or Nabouchodonosor—while the names of Eve, Cain, Abel, Saul, David, and even Nebuchadnezzar are generally familiar. The argument that using the standard forms of these names would be less than a faithful translation of the Greek is belied by the fact that translations of the New Testament are also from Greek, and yet we do not generally find the names “Iesous Christos,” “Petros,” “Paulos,” or “Iakovos,” but we do generally see the standard forms of the names found in the King James Version which have been the standard in English for four centuries. And in terms of substance, the text is far worse. For example, contrary to two thousand years of reading this text in the context of the Christian Tradition, they translate Genesis 1:2 as saying that a divine wind was being carried along over the water. That is a plainly heretical translation of the text. You also find a tendency towards gender neutral language to the point that significant distortions of the meaning of the text take place, such as Genesis 3:15, in which the seed of the woman becomes simply the offspring despite the fact that the Greek reads spermastos, and one does not have to be a Greek scholar to understand that this does not simply mean offspring. 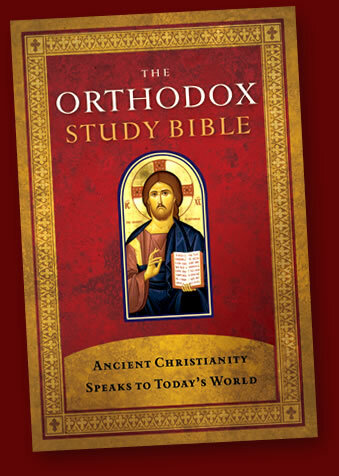 The complete Orthodox Study Bible has been released. It is a generally accurate (albeit imperfect) translation of the Septuagint. Criticisms have generally focused on instances in which they left some texts essentially unchanged from the rendering in the New King James Version when the Septuagint differs. There certainly are some examples of this. 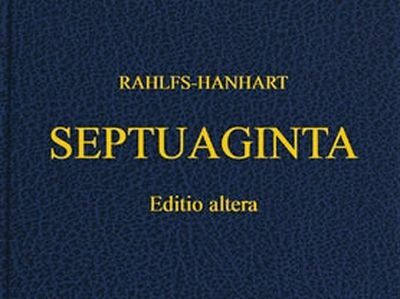 However, we can hope that some things will be corrected over time, and in any case, when it comes to a translation of the whole Septuagint, it is a better option than anything else that is available at present in English. What I like least about the OSB is that the order of the books of the Old Testament is completely rearranged based on the order found in the current Greek Bibles, and also that they have adopted names for certain books that are not the standard names used in the four hundred + years history of English Bibles. I understand why they did it, but I don’t think anything of substance was gained by these moves, and now the users of the Orthodox Study Bible will have to get used to this new arrangement, and will have to learn, for example, that if they are looking for a text in the book of Ezra this will be found in 2 Ezra, rather than 1 Ezra. There are also many criticism of the notes and the study helps in the Orthodox Study Bible, but I do not believe these criticisms weigh heavily enough to argue against recommending this text, in the absence of a better alternative. There are also some translations based on the Latin Vulgate that are closer to the Septuagint text than are texts based on the Masoretic Hebrew Text. The Douay-Rheims version is a translation of the complete text of the Vulgate, and the Coverdale Psalter, which is found in the older editions of the Book of Common Prayer, is also translated from the Vulgate. I will address this issue in far greater detail in a future article (“New Testament Textual Criticism and the Ending of Mark”), but suffice it to say here that there are essentially two versions of the Greek New Testament that form the basis of the various translations we have in English. There is the traditional text, which is variously referred to as the “Received Text,” the “Textus Receptus,” the “Byzantine Text,” and the “Majority Text.” Then there is the revised text, which is based on the textual theory of Wescott-Hort, and is currently to be found in either the Nestle-Aland edition, or the United Bible Societies edition. The traditional text of the Greek New Testament is the text that the Church has actually used and preserved for the past 2,000 years, and is to be found in the vast majority of Greek manuscripts, and is reflected in the vast majority of ancient translations of the New Testament—which in some cases originate from the time of the Apostles. The critical editions are based primarily on a small number of manuscripts from Egypt, the earliest of which date from the mid-fourth century, as well as some of the papyri that likewise come from Egypt, some of which are dated as early as the second or third century. The supporting premises of the theory that is behind the critical editions of the Greek New Testament have largely been shot to pieces by subsequent scholarship, but nevertheless, the theory remains the dominate approach to New Testament textual criticism because nothing has come along to replace it that has satisfied the majority of Protestant scholars. Consequently, almost all modern translations of the New Testament are based on the critical editions of the Greek New Testament rather than the traditional text. The exceptions are of course the King James Version (along with various revised editions of the King James which are not really new translations but simply attempts to update the English of the KJV), the New King James Version (which really is a new Translation, although it makes an attempt to maintain some continuity with the original King James Version), the Douay-Rheims, and a few other minor translations that are not in common use. But are the differences between these two versions of the Greek New Testament significant? I have often answered this question by asking the proud owner of a translation based on the revised Greek text to look up John 5:4 and read it to me. It is always fun to watch as they discover that their Bible skips from verse 3 to verse 5. If you read this passage in context, removing verse 4 makes it entirely unclear what the paralytic is doing by the pool of Bethesda to begin with. Had the editors of the revised versions the guts to do it, you would also not find Father, forgive them for they know not what they do (Luke 23:43), or the story of the woman caught in adultery (John 7:53-8:11), but since they dared not remove those texts, you simply find them in brackets, with footnotes that tell you that “the earliest and most reliable manuscripts” do not contain them. In fact, if we accepted the assumptions of the revised Greek text, when the third Matins Gospel Mark 16:9-20 is appointed, the priest would just have to whistle Dixie, because there would be no third Matins Gospel. Every translator has a theological point of view that influences their translation either for good or for ill. Ideally, we would be using translations done by Orthodox scholars whose work had the sanction of the Church, but unfortunately no such translation has yet been produced. Consequently, until we have such a text in hand, we have to find the best options among Protestant and Roman Catholic translations. Even when dealing with the best examples of these translations, we need to be aware of the theological views of the translators, and keep an eye out for when their erroneous views may have negatively influenced the accuracy of their translation. One of the worst examples of a heretical translation of the Scriptures is the New World Translation which is published by the Jehovah’s witnesses. It would take a book much longer than the text of the Bible itself to lay out all the dishonest twisting of Scripture that takes place in this translation. It is the work of a group of anonymous “scholars” who ostensibly wished to remain anonymous out of humility, but those who have researched the question have determined that this was more likely a means of cloaking the complete lack of scholarly credentials and linguistic abilities of those who crafted this text. To touch upon one of the low points of this translation, it translates the Greek word “kyrios” (“Lord”) as “Jehovah” throughout the New Testament, except where the text clearly refers to Jesus Christ, because they deny both the doctrine of the Trinity and that Jesus Christ is God. This is a completely arbitrary move designed to promote their heretical theological agenda, and there is absolutely no textual basis for translating the text in this manner to be found in any Greek manuscript of the New Testament. The outright dishonesty of their translation particularly demonstrated by the fact that in Hebrews 1:10, they do not translate “kyrios” as “Jehovah” (or the more proper “Yahweh”) because the quote is applied to Christ, despite the fact that this is a quote from Psalm 102 (101 in the LXX), and the LORD in that Psalm is Yahweh in Hebrew. Most other examples of the way bad theology has impacted a translation are far less obvious, but no less real. We have already cited an example of how the NIV twisted 2 Thessalonians 2:15 in order to wring out of the text a translation that was more favorable to the conservative Evangelical Protestant leanings of its translators. Another example, from the opposite side of the Protestant spectrum is the Revised Standard Version (RSV). 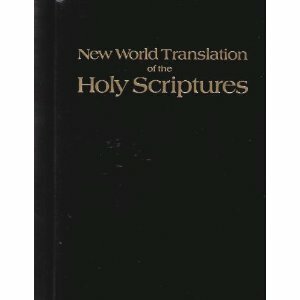 Unlike the New World Translation, the Revised Standard Version is the work of qualified and respected scholars (as is the case with most of the translations commonly in use today), and there are not any examples that I am aware of in which one could question the honesty of the translators. One can however question the theology of these translators. Therefore the Lord himself will give you a sign. Behold, a young woman shall conceive and bear a son, and shall call his name Imman'u-el. This translation marks a complete departure from two thousand years of Christian tradition of translation, and is even a departure from the pre-Christian Jewish tradition that translated the Hebrew word “almah” as “parthenos” in the Greek Septuagint, and there is no debating that “parthenos” means “virgin.” Certainly, after the Christians came along and applied this prophecy to Christ the non-Christian Jews developed the polemic that “almah” was not the precise word for “a virgin” and that it could simply mean “a young woman.” Since there are scholars that accept this argument, one cannot accuse the translators of the RSV of being charlatans for choosing to translate the word in this way. One can however accuse them of departing from the Christian tradition on this question. Furthermore, there are compelling linguistic arguments in favor of the traditional translation of this word, such the fact that the word is never used of a woman who is not a virgin, and that it is used interchangeably with the word “bethulah,” and that the pre-Christian translators of the Septuagint understood the term to mean “virgin.” Also, contextually, one would have to wonder how a young woman being pregnant would be a miraculous sign. Young women are pregnant all the time. In fact, it would be more of a miraculous sign if it had been an old woman who was pregnant. A virgin being with child, however, clearly is a miraculous sign. And so, even if one might argue that the question of the meaning of Isaiah 7:14 could not be definitively proven one way or the other, the fact that the Church has always understood it as speaking of a virgin being with child absolutely settles the question for a believing Christian. Almost all the modern translations are far closer to the reading found in the NRSV than that found in the KJV. One could certainly make the case the KJV translators were attempting to slant this reading to undercut the Marian devotions of their Roman Catholic foes. There are a few other cases in which one could argue for a slightly different reading of texts that reference the Virgin Mary and could thus make similar arguments, though the other instances involve slightly different nuances rather than clear cases of mistranslation. Prior to the King James Version most Protestant translations had clear signs of promoting a particular Protestant agenda. The Geneva Bible often contained slanted translations with even more slanted marginal notes. Luther’s translation into German had even gone so far as to insert words that did not occur at all in the original text to promote his own doctrinal agenda. The King James Version was different for several reasons: the Anglican Church had a much higher opinion of Church Tradition; the translators included scholars of various Protestant persuasions and so kept each other honest; and most importantly, King James specifically commissioned this text to have a non-sectarian character, without commentary in the margin notes, which would help accomplish his broader goal of uniting his country which had been bitterly divided in the wake of the English Reformation. He wanted one translation that all English speaking people would use, and thus the translation could not be one that promoted the agenda of a particular Protestant sect. I would contend that none of the subsequent translations listed above have made even the slightest improvement on the language of the King James version, and that to the extent that they have departed from the wording of the King James they have diminished the beauty of the text. The only modern translations that have more or less maintained a degree of beauty in their translation have been those that attempted to revise the King James text, while maintaining to some extent or another its wording and cadence. I would include among these texts the English Standard Version, the Revised Standard Version, and the New King James Version. One can also simply read the preface of almost any translation of the Bible in English and read acknowledgements of the King James Version’s beauty. 1. The scholars that translated the King James Version lived at a time when scholars were still expected to be masters of all learning, and so these scholars were not only the brightest minds of their day in terms of the original texts and ancient translations of the Scriptures, but they were also masters of their own language. In our time, one might find a scholar who is a master of one area or the other, but it is very rare to encounter a scholar who is a scholar of both Scripture and English literature. 2. As the goal of the King James Version was to produce a translation that was appointed to be read aloud in Church, its translators paid particular attention to how the text would sound when read aloud. They were of course concerned with producing an accurate translation, but they were also concerned with producing a reverent and beautiful translation that was pleasing to the ear. Now it must be conceded that the King James Version has some significant problems in terms of its liturgical use today. There are passages in the KJV that are hard to understand for most contemporary English speakers, and there are passages that are even misleading now, due to changes in the meaning of certain words over time. This being the case, there is in fact a need for some revision to the text, and there are editions of the King James Version that make such revisions, but the question is how much of the text needs to be revised, and on that there is not unanimity. In recent decades we have been confronted with the new phenomenon of political correctness, and this has resulted in new versions of the Bible that have attempted to neuter the English text to accommodate the concerns of radical feminists. This is silly for several reasons. For one, radical feminists are not likely to be happy with any translation of the Scriptures no matter how neutered the English in it might be. Secondly, the very idea that gender distinctions in a language are at all to blame for any grievances that feminists might have is ridiculous on the face of it. Only those who are completely ignorant of how languages other than English function could believe that gender distinctions are the cause of the ill-treatment of women, or that removing such distinctions would in any way improve the status of women. There are in fact two major languages that have no gender distinctions at all, and so the two cultures associated with these languages should have been feminist utopias throughout human history. The two languages I refer to are Turkish and Chinese. However, I think one could easily defend the argument that women in European cultures have been treated significantly better in the past two thousand years, despite them having to suffer the indignities of being “forced” to use languages that make gender distinctions. In fact, I think one would be hard pressed to find two literate cultures in which woman have historically been treated worse than that of the Turks and the Chinese—and I say that as one who otherwise loves Chinese culture, but the way women were (and to a large extent, still are) treated is not the high point of Chinese civilization. As I watched in the night visions, I saw one like a human being coming with the clouds of heaven. And he came to the Ancient One and was presented before him. This totally disconnects Christ’s use of the phrase “Son of Man” from this prophecy. Fortunately we are spared readings such as Foxes have holes, and birds of the air have nests; but the Human has nowhere to lay his head (Matthew 8.20), or Who do people say that I the Human am? (Matthew 16:13), but all of the prophetic significance of this term is sacrificed on the altar of feminism. These neutered translations also are forced to insert words that do not exist in the original text, to omit words that do, and to change singular pronouns into plural to avoid words with gender distinctions. The result is simply a translation that misleads the reader and obscures the meaning of the inspired text … and it is all just so silly. Versions that contain more or less neutered English include the New Revised Standard Version (NRSV), Today’s New International Version (TNIV), the New Living Translation (NLT), The Good News Translation (GNT or GNB), the New Century Version (NCV), the Contemporary English Version (CEV), the New American Bible (NAB), the Revised English Bible (REB), and the New Jerusalem Bible (NJB). So in the light of all that has been said, which translation of the Scriptures should we use? Unfortunately, there is not a simple answer for English speakers at present. I will address the question first in terms of the best options available for personal use, then the best options for liturgical use, and say a few words about how one can make use of the various translations available in their personal study of the Bible. Generally speaking, the King James Version is where all English translations of Scripture should begin … and it remains one of the best options available, even without any revision. The pronouns and verbal forms that it uses are not hard to learn. The primary problem with it is the occasional translation that needs to be corrected, and the occasional word that is likely to confuse most contemporary readers. Most readers could easily remedy the second problem by simply expanding their vocabulary by about 200 or so words. The best editions of the KJV available currently are the King James Version with Apocrypha - 400th Anniversary Edition, published by the American Bible Society, and the New Cambridge Paragraph Bible with Apocrypha, both of which has modern spelling, punctuation, and formatting, and includes the Deuterocanonical books. The New Authorized Version (NAV), which has been published without the Deuterocanonical books as the 21st Century King James Version and as the Third Millenium Bible with them included, has much to recommend it. Many of the obscure portions of the KJV have been revised to make them clearer. My primary complaints with this version are that they occasionally embed margin notes into the text with brackets, which is likely to confuse most readers that they are reading the text of Scripture rather than a margin note, and also that they did not revise many words or phrases that needed revision, but revised many more words that didn’t … and frankly, the only real purpose that most of these changes seem to have accomplished is that they enabled the publisher to copyright the text (which they would not have been able to do had they made fewer changes). For example, the publisher has removed the word “spake” and replaced it with “spoke,” but does anyone really think that the average reader had a problem figuring out what “spake” meant? KJV: And the Word was made flesh, and dwelt among us, (and we beheld his glory, the glory as of the only begotten of the Father,) full of grace and truth. John bare witness of him, and cried, saying, This was he of whom I spake, He that cometh after me is preferred before me: for he was before me. And of his fullness have all we received, and grace for grace. For the law was given by Moses, but grace and truth came by Jesus Christ. NAV: And the Word was made flesh, and dwelt among us (and we beheld His glory, the glory as of the only Begotten of the Father), full of grace and truth. John bore witness of Him and cried, saying, “This was He of whom I spoke, ‘He that cometh after me is preferred before me, for He was before me.’” And of His fullness have we all received, and grace for grace. For the law was given by Moses, but grace and truth came by Jesus Christ. KJV: For thou preventest him with the blessings of goodness: thou settest a crown of pure gold on his head. NAV: For Thou goest before him with the blessings of goodness; Thou settest a crown of pure gold on his head. Most contemporary readers would not have come away from the text in the KJV with a correct understanding of the text, whereas here the revision of one word has made all the difference. Also the use of modern punctuation and formatting is far easier on the eyes than most King James texts that are on the market. The New King James Version uses contemporary English which is seen by many as a great advantage but which I personally find to be the greatest drawback of this version. I believe that traditional English is better suited for liturgical use, and I also believe that ideally we should use the same translation for worship that we do in private study, because this helps us better memorize the text and allows the words to better take root in our souls. This is of course a different subject which is beyond the scope of this article, and so I will simply concede that many other Orthodox would not agree and would find the language of the New King James entirely compatible with the style of English they use liturgically. In any case, the New King James has its advantages. It generally corrects the translational errors of the King James Version, though is based on the Received Text of the New Testament and so is entirely consistent with the textual tradition of the Church. It also has perhaps the best textual footnotes of any translation in English. It is, of course, more easily understood than the KJV. I must say that the Douay Rheims is not a version I have or probably ever will use a primary translation for personal study, although I know many Orthodox who do. The text is certainly acceptable, and has the advantage of using traditional English, and having the Deuterocanonical books. It is at times awkward, and it uses terminology that is unfamiliar to most English speakers. It is a version worthy of consultation, when comparing various translations. As mentioned previously, the Orthodox Study Bible is an imperfect but good option for personal study. It uses the New King James Version of the New Testament, and in the few instances in which one might wish that translation was corrected they noted the preferable translation in the footnotes. I suspect the publisher, who owns the copyright to the NKJV, probably had something to do with why they did not simply amend the text. In the Old Testament they revised the New King James Version based on the Septuagint and generally did so accurately. 1) "The Psalter According to the Seventy," published by Holy Transfiguration Monastery (also known as "The Boston Psalter"). This is far from a perfect translation, but I have found it to be a generally accurate translation, and it has the advantage of matching many of the most commonly used liturgical texts available in English (it is used in all of the publications of St. John of Kronstadt Press, Holy Transfiguration Monastery, and most of those published by Holy Trinity Monastery in Jordanville New York). The disadvantage of this text is that the word choice can at times be awkward. It is also available in a pocket-sized edition. 2). "A Psalter for Prayer," which is published by Holy Trinity Monastery, Jordanville, New York. The translation is based on the Coverdale Psalter which is what you would find in an older (traditional) edition of the Book of Common Prayer, but is corrected with the Septuagint. It also contains a great deal of instructional material and additional prayers found in Slavonic editions of the Psalter but not in the Boston Psalter or most other editions published in English to date. For example, it has prayers at the end of each kathisma, and it has instructions on how to read the Psalter over the dead, with the prayers that are said according to Slavic practice in conjunction with that. The quality of the printing is very high—the paper and binding are of similar quality to the Boston Psalter, but the cover looks better, the size is a bit larger, and it has two marker ribbons sewn into the binding. The translation is well done and beautiful, and I would say that it is worth having just for the additional material that it contains. The biggest disadvantage is that it presently is not used in very many liturgical texts, but that may change. I have found it to be sometimes less precise than the Boston Psalter when comparing the text to the Greek Septuagint, but I can't say that this is based on a thorough and detailed review of the entire text. 3). "The Psalter of the Prophet and King David with the Nine Biblical Odes," which is published by the Center for Traditionalists Orthodox Studies. This translation is based on the King James Version, but corrected by the Septuagint which is arguably better stylistically than the HTM Psalter, and for many, it will be more familiar to the text that they are familiar with, but like the Jordanville Psalter, it is not used in many liturgical texts, though it is used in texts published by the Center for Traditionalist Orthodox Studies. The best option for a Gospel book that is formatted according to Slavic usage is from Holoviaks Church Supply. They publish a very fine edition which uses the King James Version. They currently offer this text only with a metallic cover. They have also recently published one that uses the New King James and for those who prefer the NKJV obviously this would be an excellent option. A new option for those seeking a traditional English translation of the Gospels is the Gospel Lectionary published by the Center for Traditionalist Orthodox Studies. It is based on the King James Version but is formatted according to Byzantine usage—again, an advantage for those of that tradition, but a disadvantage to those who of the Slavic tradition. It does have a scriptural index in the back that will help those following Slavic practice to find the correct reading more easily than most Byzantine style Gospel books. This edition is very affordable, and the format of the Byzantine lectionary is actually very well suited for those who would like to have a Gospel book at home to read the daily readings. The best option available at present for those following Slavic practice is the Apostol, published by St. Tikhon’s Seminary Press. The translation used is neither King James, Douay-Rheims, nor New King James, but a synthesis of the three. It retains the traditional pronouns (for the most part) and verb endings, but eliminates archaic words. At times one might have wished that they had kept more of the King James text than they did, but the text is more easily understandable than the unrevised King James text would have otherwise been. For those following Byzantine practice the Epistle Lectionary, published by the Center for Traditionalists Orthodox Studies is a good option. Like the Gospel Lectionary they publish, this too is based on the King James text. One of its drawbacks is that it is published only in paper back at present. This has the advantage, however, of making it inexpensive enough for individuals to purchase a copy for home use. Another downside to this edition is that some of the “corrections” of the King James text in this edition are debatable. For example, in the KJV, 1 Corinthians 11:14 reads Doth not even nature itself teach you, that, if a man have long hair, it is a shame unto him? The CTOS edition emends this to read Doth not even nature itself teach you, that, if a man have flowing hair, it is a shame unto him? I understand the point that they are trying to make, and the translation is not completely indefensible, but no other translation translates it this way. If one wanted to bring out the nuance that they are trying to highlight it would probably have been better to have translated it as “wear long hair” rather than “have long hair” or “have flowing hair,” and also this really gets us beyond translation into the realm of commentary, and that is what commentaries and footnotes are for. And although emendations such as this are made, many instances in which the text of the King James is no longer easily understood and could easily be corrected by updating a word or two are unfortunately left unrevised. Nevertheless, on the balance, this edition is a good option—again, particularly for those wishing to follow the daily readings at home. The RSV and NRSV are also especially useful because they contain the complete Orthodox canon of the Old Testament. One of the advantages the internet affords is that we can compare numerous translations with a few clicks of a mouse without having to have hard copies of them all at home. For recommendations on electronic Bible Study tools, click here. Some dismiss concerns about Biblical translations as unimportant, or a simple matter of taste. “To each his own,” and “Whatever floats your boat” are the sacred proverbs of our culture today. However, as Bishop Tikhon of San Francisco noted, “the word ‘Orthodox’ itself implies a certain care about correct syntactics, semantics and pragmatics, the correct use of language …” Words mean things, accuracy matters, fidelity to the traditional understanding of the Scriptures is essential, and beauty in worship (and thus in our translation of the Scriptures, which is at the core of our worship) is something we must strive for. As with most things in the Orthodox Church, there are boundaries of acceptability within which there is a certain amount of diversity of opinion that is completely acceptable, but outside of which there is spiritual danger that must be avoided. 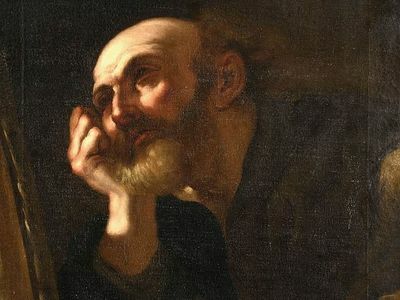 There may even be some disagreement about exactly where the lines should be drawn that mark those boundaries, but Orthodox Christians should be in agreement that translations that distort and obscure the meaning of the text, that strip the text of significant Christological and prophetic concepts, and lack a reverence for the words that the Holy Spirit has inspired His prophets and apostles to write are to be avoided. Set before me for a law, O LORD, the way of Thy statutes, and I will seek after it continually. Give me understanding, and I will search out Thy law, and I will keep it with my whole heart (Psalm 118:34-35 LXX). As anyone who has invested the effort into the reverent study of the Scriptures can attest, the rewards are well worth the effort. Clark Carlton, The Way: What Every Protestant Should Know About the Orthodox Church, (Salisbury, MA: Regina Orthodox Press, 1997) p. 137f. See Wilbur Pickering, The Identity of the New Testament Text. Nashville, Thomas Nelson, 1980. http://www.revisedstandard.net/text/WNP/. M. Kurt Goedelman, A Critical Look at the Jehovah’s Witness Bible, the New World Translation, Aug. 31, 2006 <http://www.xmark.com/focus/Pages/jehovahs.html>. See also: Aug. 31, 2006 <http://www.bible-researcher.com/new-world.html>. C. P. Lincoln, "A Critique of the Revised Standard Version," Bibliotheca Sacra, Volume 110 (Jan. 1953) pp. 50-66, Sept. 1, 2006 <http://www.bible-researcher.com/rsv-bibsac.html>. Bruce M Metzger, “The RSV-Ecumenical Edition,” Theology Today, Vol. 34, No. 3 (Oct. 1977), p. 316, Sept. 1, 2006 <http://theologytoday.ptsem.edu/oct1977/v34-3-criticscorner4.htm> It is true that a Greek Orthodox representative was added to the translation committee, but the Jewish scholar was part of the translation when it was actually being done, and the Greek Orthodox representative was added after the real work of the translation was already completed. For more on question of how “almah” should be translated, see: William F. Beck, What Does Almah Mean?, Sept. 2, 2006, <http://www.philvaz.com/apologetics/VB-DOD-Virgin-Almah-WilliamBeck.pdf>, see also: Origen, Against Celsus, Book I, Chapters xxxiv -xxxv, The Ante-Nicene Fathers, vol. iv, eds. Alexander Roberts and James Donaldson, trans. A. Cleveland Coxe (Grand Rapids: Eerdmans Publishing Company, 1989), p. 410f. as well as: St. Jerome, Against Jovinianus, Book I, Chapter 32, Nicene and Post-Nicene Fathers, series 2, vol. vi, eds. Henry Wace and Philip Schaff (Peabody, MA: Hendrickson, 1994), p. 370. Adam Nicolson, God’s Secretaries: The Making of the King James Bible, (New York: HarperCollins Publishers, 2003) p. 73. See also: History of the King James Version, Sept 4, 2006, <http://www.bible-researcher.com/kjvhist.html>. For example, Luther inserted the word “alone” into his translation of Romans 2:28, to make it support his doctrine of justification by faith alone. When asked for justification for his inserting words that did not exist in the original text, Luther simply responded “It is so because Dr. Martin Luther says it is so!” See Frank Schaeffer, Dancing Alone (Brookline, MA: Holy Cross Orthodox Press, 1994) p. 77, and: Jaroslav Pelikan, Reformation of Church and Dogma (Chicago: University of Chicago Press, 1985) p. 252. The Third Millennium Bible, (Gary, South Dakota: Deuel Enterprises, 1998), p. xiii. G. S. Paine, The Men Behind the King James Version, (Grand Rapids, MI: Baker Book House, 1959) p. 182f. History of the King James Version, Sept 4, 2006, <http://www.bible-researcher.com/kjvhist.html>. See Wayne Grudem, What's Wrong with Gender-Neutral Bible Translations? Feb 20, 2013 <http://www.waynegrudem.com/wp-content/uploads/2012/03/What-s-Wrong-with-Gender-Neutral-Bible-Translations.pdf>; as well as "The Gender-Neutral Bible Controversy," Sept. 4, 2006, <http://www.bible-researcher.com/links12.html>. Bishop Tikhon of San Francisco (OCA), Bishop's Pastoral Letter on the New Revised Standard Version, The Orthodox West, Winter 1990, Sept. 8, 2006 <http://www.holy-trinity.org/liturgics/tikhon.nrsv.html>. 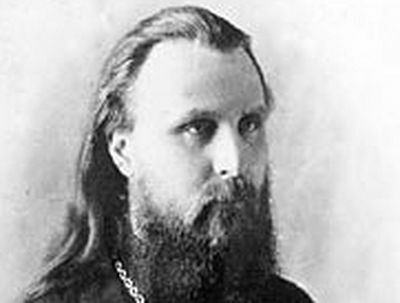 The following article was written in 1914, when St. Hilarion was an archimandrite and a professor of the Imperial Moscow Spiritual Academy. Its message is especially pertinent for our times, when there is widespread confusion and ignorance about the true nature of Christ’s Church and about the right approach to Holy Scripture. It can provide invaluable help to Orthodox Christians in understanding their Faith more deeply, and in defending and giving an account of it when confronted with heterodox — especially Protestant — claims. The translations by the Holy Apostles convent are hands down the best available. Anything that seems strange in the wording is due to their care in conveying the sense of the more detailed Greek verbs in the original texts. Also the footnotes are exceedingly helpful, quoting the Holy Fathers of the church. The OSB by contrast is destroyed by it's simply awful footnote material which very seldom quotes a Holy Father, instead sounding like the ruminations of a protestant Bible study. Although I know that there's only so much time one has to peruse and verify various translations of the Bible, I'd like to ask you regarding the Monsignor Knox translation from the 1940s and 1950s in the United Kingdom - have you studied it, and - if yes - what's your opinion of it? Also, how about the original Jerusalem Bible and original "The English Bible"? I am pleased to have approval for the ESV as alternative to the KJV. I experience much better reading comprehension with ESV than KJV. No sooner have I heard KJV read in church I have already forgotten it. With KJV there's a messy jumble of antique words which make no sense to a dyslexic mind. With ESV I recall the scriptures more clearly. I have just found out that the CEB (with or without Duerotocanonicals) is also gender neutral and also messed up Isaiah 7:14, just like the NRSV. I have now bought the EOB, though it only has the NT available for now. Fr. John, you forgot to comment the EOB. I heard that it is a very accurate translation based purely off the Greek Orthodox Patriarchal Text and is translated in easy to understand contemporary English. The OSB NT, by comparison, is exactly just like the NKJV NT. translation The COB is also now available. I want an accurate bible translation or accurate set of bible translations that are/is closest to the Eastern Orthodox approved texts, LXX for OT, Byzantine-type for NT. But while I want to really follow my faith,I also don't want to a priest or a theologian. So from now on, I read EOB for the NT, and OSB for the OT, including Duerotocanonicals. The reason why I'm doing this is because the OSB has it's own unique translation for the OT and, as I said, the OT for the EOB has not came out yet.Also, I want to read the bible in contemporary English while being very accurate to Orthodox translations at the same time. I already have the OSB. I expected the OSB to the Orthodox version of the NABRE, which I used to read as a Catholic (before converting to Orthodoxy). And it came out kinda what I expected with footnotes explaining what particular bible verse(s) means from an Orthodox point of view. The CEB is easy to read. What about the CEB with apocrypha? Which bible version is better for devotional regular reading by a beginner Orthodox Christian? OSB or CEB with apocrypha? I am surprised that the exceptionally accurate in translation and meaning Orthodox New Testament got little if any consideration in this article. Also the Orthodox Psalter (also published by the Holy Apostles Convent) got absolutely no mention at all! In my personal experience I can say these translations are literal but not "wooden" ...that sounds a bit harsh. I can also say that after considerable personal use of both the New Testament and Psalter (which both include commentary of our Orthodox Fathers such as St. John Chrysostom and St. Gregory the Theologion) I have come away with a more profound and deeper understanding than ever I had using any of the above other mentioned editions in this article (and I have had ample opportunity to use them all!) Because of the Holy Apostles Translation I (by the grace of God) feel I have flourished much more spiritually since I began using them some time ago! God bless them for their work! ...and no I am not affiliated with them...this is just the simple fact of my experience. Thank you for allowing me to post. The problem with the King James Version is that it is virtually unintelligible in the Old Testament. The St. Athanasius Academy has made the valiant first attempt at an Old Testament translation, but it does not speak for all of English speaking Orthodoxy. I think that I have at least 14 bibles and many translations. I use the KJV as the ultimate authority after the Church itself and I find The New Strong's Exhaustive Concordance of the Bible with Greek and Hebrew dictionaries by, (ISBN 0785250557), to be extremely helpful, and cost effective too. I have been a bookseller for many years. There is a wonderful English translation of the New Testament based on the official text of the Ecumenical Patriarchate of Constantinople. It's called the EOB: The Eastern/ Greek Orthodox New Testament. Here is a link http://www.amazon.com/s/ref=nb_sb_noss?url=search-alias%3Dstripbooks&field-keywords=eob . It is packed with scholarly articles and other resources. If you are looking for a new translation consider this one. It was made by an Orthodox for Orthodox. God bless! This is my "go to" translation of the New Testament. I think that it is a great resource for English speaking Orthodox Christians. Great point made! Good for you authors of the article! Let me suggest to the author a side by side comparison between the Douay Rheims and other English translations. Finally what do you suggest in English is the best version .